One of my favorite things about California is the temperate weather. We don't really have seasons or inclement weather, which means that you can really take advantage of your outdoor space year-round. Our yard is one of the last areas that I've focused on - we have a couple chairs and a rug out there but that's about it. 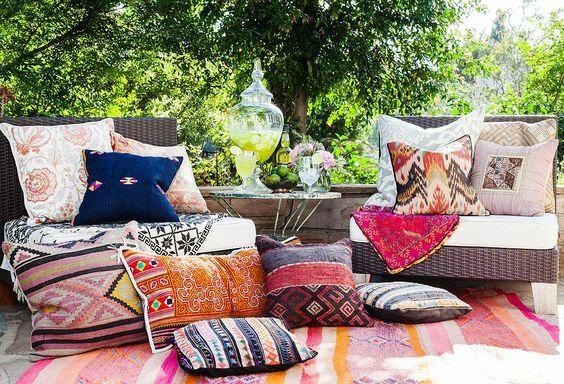 I'm starting to look for inspiration to make our outdoor space a relaxing oasis now that the weather is warming up. I love that living in LA means a patio can be transformed into an outdoor living room. This space transforms seamlessly from indoor to outdoor, and makes the patio just another room without walls. I definitely want to focus on making our patio another 'room' of our house. I like how open and modern this space feels with low seating and string lights hung across the sky rather than along a wall. Pillows and textiles warm up the space to make it more comfortable and casual. 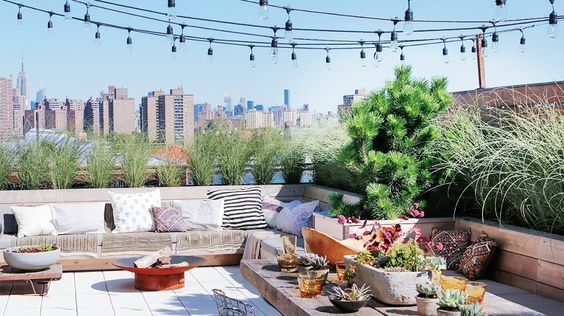 And string lights are a total must in any outdoor space! 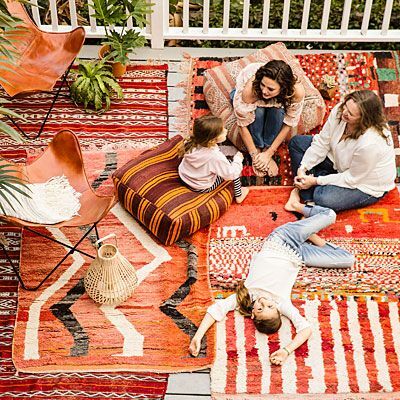 I've been dying for a frazada (used here as a rug) and our patio might be the perfect place for one. This space really feels comfortable without being too bulky, which is something I really want in our outdoor living space. 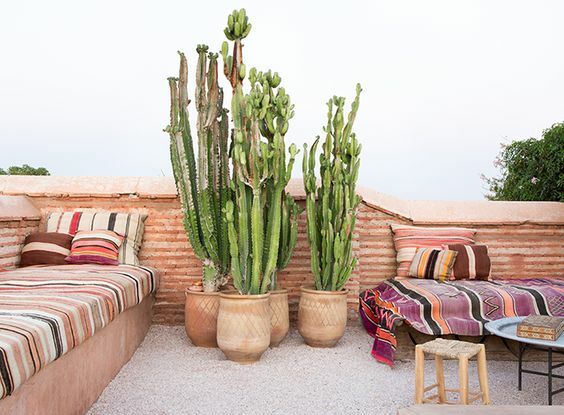 The textiles and cacti are what do it for me here. 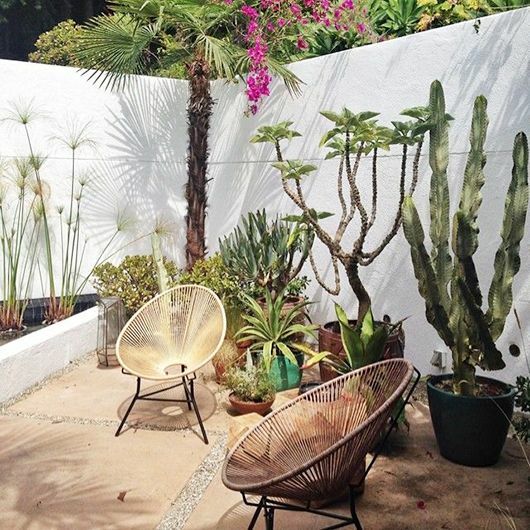 We have bougainvilleas, a small palm tree, and lemon trees in our yard, but I'd love to create an area for an outdoor garden with a bunch of cacti. Modern chairs and an outdoor garden with a collected feel make this space an inviting oasis. 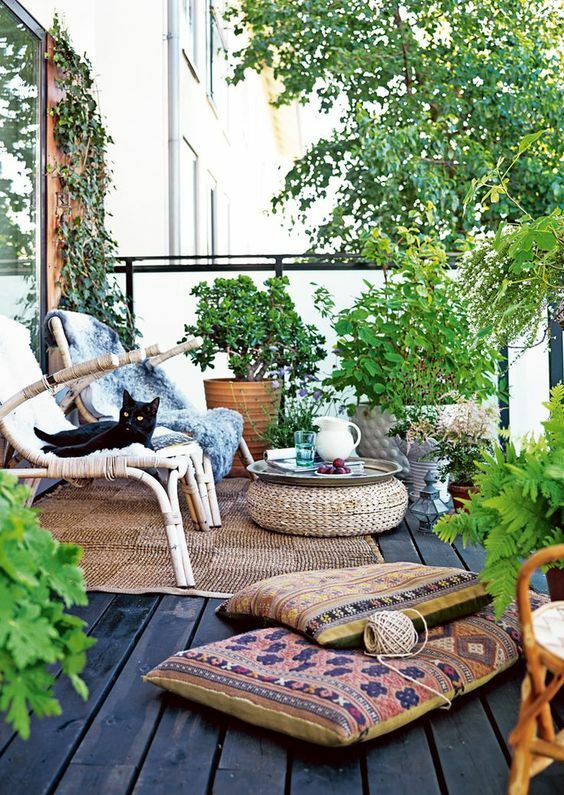 I love the idea of layering rugs outdoors, and since it almost never rains here, it could be a reality. 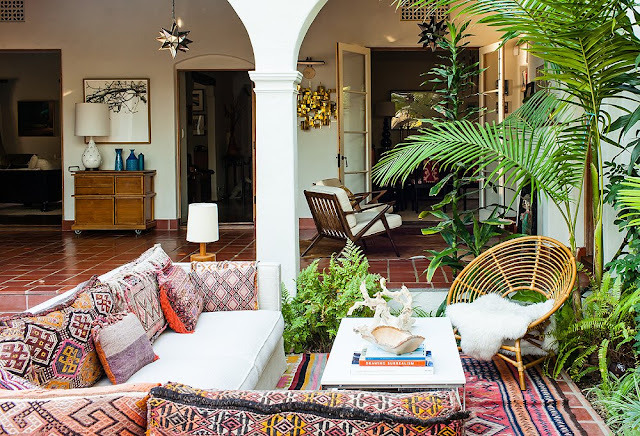 This small space is really maximized with lush foliage, seating, a rug to define the space, a makeshift coffee table, and floor pillows for extra casual seating. I love how pulled together the space feels. Built-in seating is a great option if you have the space for it. 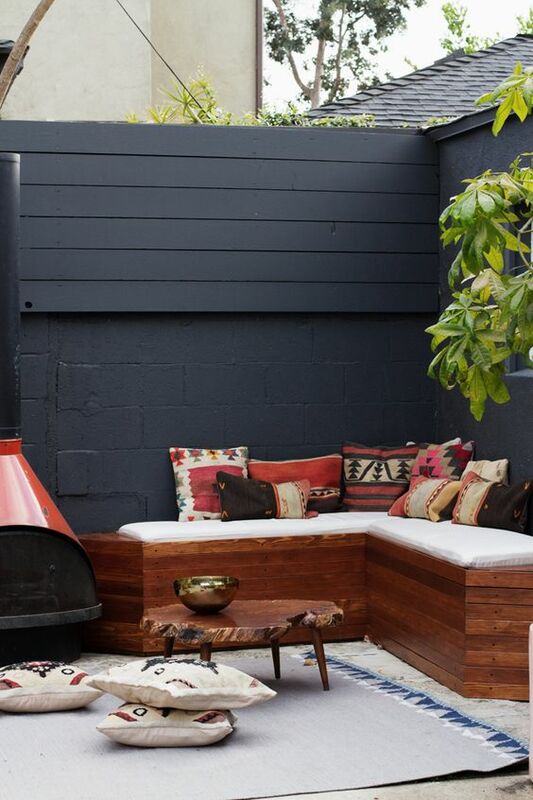 I also love that little peek of an outdoor fireplace - our skin is pretty thin here in LA and a toasty fire warms things up when it drops below 65. I can't wait to make our backyard into a modern boho oasis.